From laser tag to superhero themed parties, you'll find lots of ideas for boys birthday parties in New York listed here. We have searched around and gathered the top locations, entertainers and services in New York that boys will love. Our friends at KidsParties.Party also have an extensive guide to the best to see boy themed parties in NY. Fun Party For The Boys To Enjoy! Have a superhero themed party and let Premier Events make the celebration a fun filled event that everyone can enjoy. 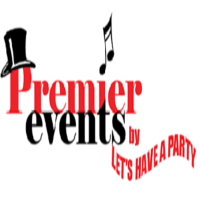 A preferred party planner here in New York, Premier Events can make your boys' themed party fun for the kids in which there will be cool activities and great entertainment. Have Premier Events plan-out an amazing superhero party for your kid's party. Book your reservations today by visiting the website or contact them through phone. A Dinosaur Party For Your Boy's Party Here In New York! Let Linda Kaye's Partymakers plan-out an amazing celebration for your boy's party. They will be able to provide all the fun entertainment and the cool activities to make the event a success. 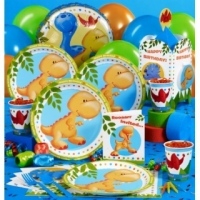 With their experience in party planning, they will make sure that every child will have a great time and will enjoy your dinosaur themed party. A preferred party planner here in New York, Linda Kaye's Partymakers is the one to call in making your party a fun filled event. A Pirate Party For Boys To Enjoy! Let your boys enjoy a wonderful celebration in which they can have a great time. Have a pirate themed party with Daisy Doodle. They will make sure to provide the fun activities and the costumes for your kids to enjoy at the party. Daisy Doodle will plan-out an amazing party program where kids can enjoy the games, the food and the entertainment. So have the best party planner of New York make your celebration a great success. 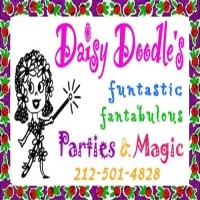 Contact Daisy Doodle and let Daisy Doodle plan-out an amazing kids' party for you. Brooklyn Boulders, A Perfect Place For A Boys' Party! Celebrate your kid's birthday party here at Brooklyn Boulders. 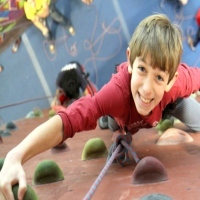 You will be sure that the kids will enjoy scaling a 30-foot wall and will enjoy themselves. Brooklyn Boulders is a fun and safe place to have a birthday party. Kids' activities will be under the constant supervision of professional staff members. So plan an amazing children's party here at Brooklyn Boulders. You will be sure that the party will be a great success in which everyone will enjoy. A Sports Party For Your Boys To Enjoy! Have a sports party for your kid's birthday here in New York and celebrate the special celebration here at Asphalt Green. The place makes a perfect venue for lots of fun sports activities and a great place to have a kids' party. With their accommodating staff, Asphalt Green will make sure to make your party a great success where everyone can have fun. 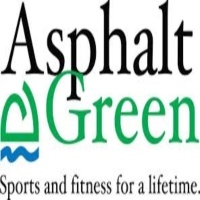 So have your kid's party here in Asphalt Green and make your reservations today. Visit the website for more information and for inquiries. A Boys' Party That Kids Will Surely Enjoy! 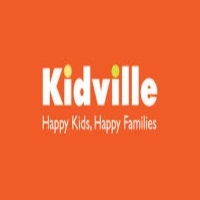 Celebrate your kid's birthday with Kidville here in New York and have a superhero themed party. The celebration will definitely be a great success in which there will be lots of fun activities and great surprises. With their very accommodating staff, they will see to it that everything goes smoothly and as planned. So have your kid's birthday celebration be a fun filled event where they wear awesome superhero costumes and pretend to be their favorite superhero character. Visit their website and make your reservations today. Boys' Party With New York Kids Club! 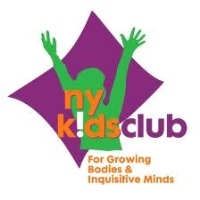 Have a wonderful celebration with New York Kids Club. They can plan an exciting boy themed party such as a superhero themed party. With their experience in party planning, New York Kids Club will make sure that everything at the celebration will go as planned and that everyone will enjoy all the fun activities and the great surprises. So your kid's birthday party will be a wonderful celebration when you let New York Kids Club organize and plan the whole event. Perfect Party For The Boys! 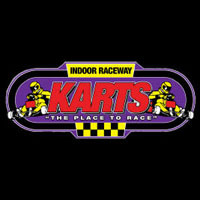 Here at Karts Indoor Raceway your kids will definitely enjoy an amazing party and will have a great time. At Karts Indoor Raceway, kids can have fun racing with the go karts and enjoy other activities such as laser tag and roller bowling. A perfect place here in New York to celebrate your kid's birthday, they make sure that everyone will enjoy the fun activities and will have a rocking good time. So celebrate your kid's birthday with Karts Indoor Raceway. Make your reservations and visit their website today. Go Kart Party At Grand Prix New York Racing! A perfect boys' party for your kid's birthday, Grand Prix New York Racing is where your kids can enjoy lots of fun activities. Such activities include go kart racing, bowling and playing in the arcade. They provide a fun party experience in which they plan and prepare all your party needs to make the event a success. 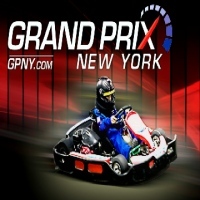 So have your kid's birthday here at Grand Prix New York Racing and let the event be a fun filled event in which there are lots of exciting activities and all the fun for your kids to enjoy. Laser Tag Party For The Boys To Enjoy! Celebrate your kid's birthday here at Indoor Extreme Sports. Kids will definitely enjoy the fun activities and have a great time. Indoor Extreme Sports makes a perfect place for a kids' birthday party. When you celebrate your birthday with Indoor Extreme Sports, you get to enjoy pizza, chips and soda. 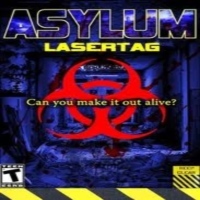 Also you get to choose which activities you can do such as paint ball, laser tag or archer tag. So celebrate your kid's birthday here at Indoor Extreme Sports. Book your reservations and contact Indoor Extreme Sports today.